Salem County's 2012 Arts in Bloom was a great success! We had so many new customers come to the store to view the works of local painter Kimberly English and the creative ceramic works of Mudhen Pottery by Janice Chassier. We love handmade creations and having these talented women at our store was a great privilege! Which got us thinking, why not feature local artists' work in the store!? 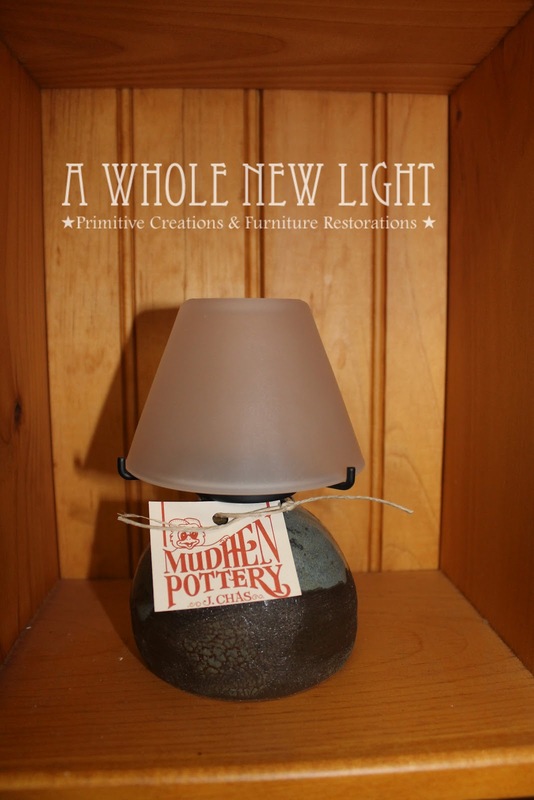 Janice's ceramics are now available at A Whole New Light! Be sure to stop by to view and purchase one of the many ceramics that are both functional and beautiful. Below are a view examples of her work with a description by the artist. Clay baskets are good for anything you would use a basket for and more! 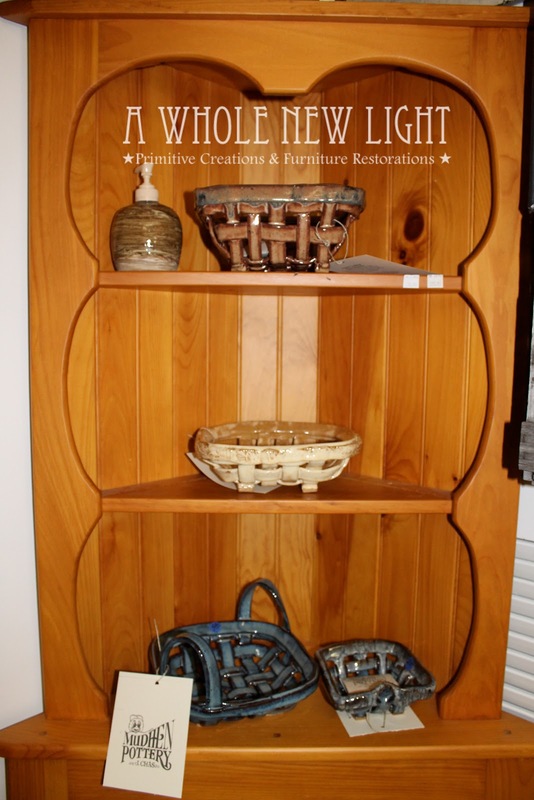 Each piece is hand crafted from high fire stoneware. It is glazed inside and out for the ease of cleaning. You can bake in them by lining the basket with parchment paper. PLEASE NOTE: Most directions say to preheat oven. DO NOT put clay baskets in hot oven. They will be shocked and crack. ALWAYS START IN A COLD OVEN. Enjoy! Lanterns are great for creating atmosphere and if the electricity goes out! They are high fired stoneware, with either a glazed outer surface, or a primitive decorated surface. All are coated inside and are meant to be used with lantern oil, available at the department store. Tip: Unscrew the top. Fill with oil. Screw back together. Let the wick absorb the oil. Light. When it is time to blow out, bring the wick down, blow, and bring the wick up again, ready for the next lighting. When you put the globe on, make sure it is in all the 4 prongs. Enjoy! These little lights with the glass shade hold a tea light candle. They are great to create atmosphere indoor and out. If you use them outdoors, consider a citronella candle. If you would rather, use a battery operated tea light candle. Anyway you light it...instant mood!